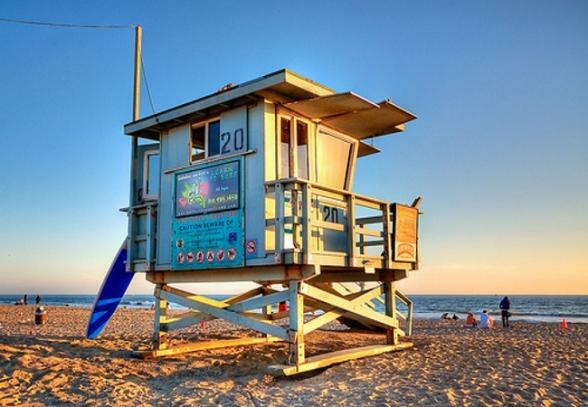 See LA's beautiful coastline from a different perspective with our great value LA Beaches Helicopter Tour! Enjoy a 30 minute helicopter tour of the Southern Peninsula of Los Angeles, the gorgeous South Bay area a hidden gem most tourists don't get the opportunity to see. 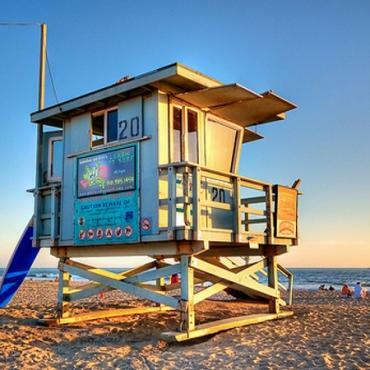 The LA Beaches Helicopter Tour is narrated by your professional helicopter pilot as he smoothly and skilfully flies you over landmark areas including Long Beach Harbor, Redondo Beach and pier and the San Pedro, Manhattan and Hermosa beaches. You'll also see the magnificent Queen Mary and fly over the Palos Verdes and Rolling Hills Estates - the exclusive estates dotted with stunning homes belonging to some of the wealthiest citizens of LA. This tour includes complementary round-trip transportation from your Greater Los Angeles area hotel. This Tour is available daily all year round. Please Note: Passengers enjoying the LA Beaches Helicopter Tour may be required to pay a fuel surcharge in resort. Prices from £105.00 per person (No child reductions).